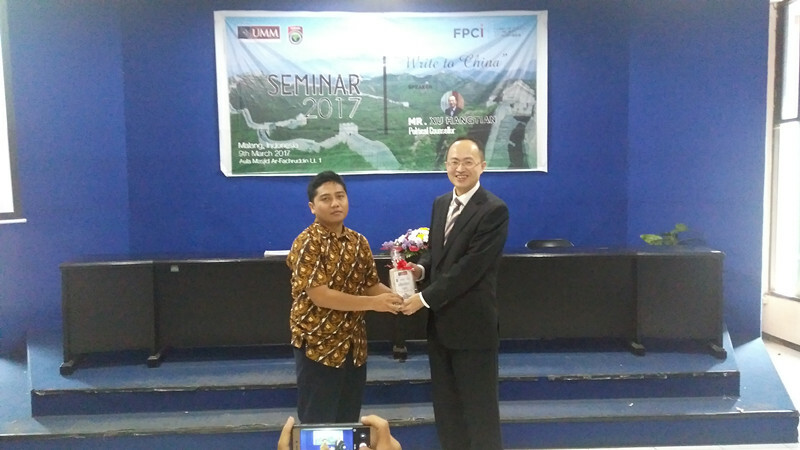 On March 9, Political Counselor Mr. Xu Hangtian visited the prestigious University of Muhammadiyah Malang, in Indonesia. 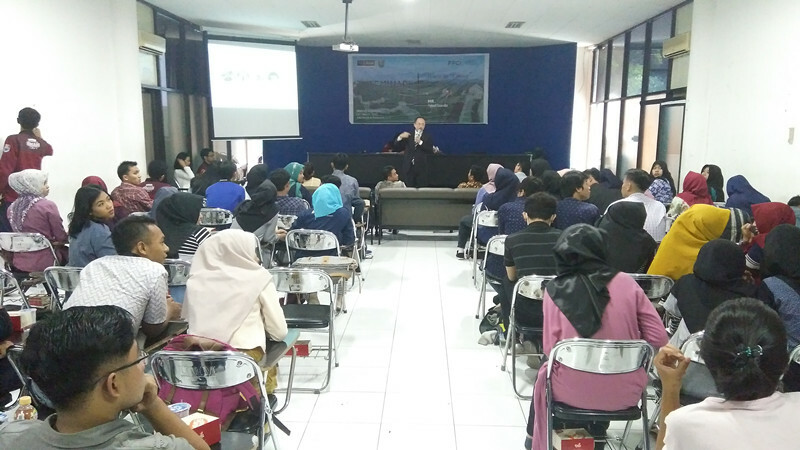 During the visit, Mr. Xu gave a lecture on China's latest development achievements and China-Indonesia relations to students from the Department of International Relations. 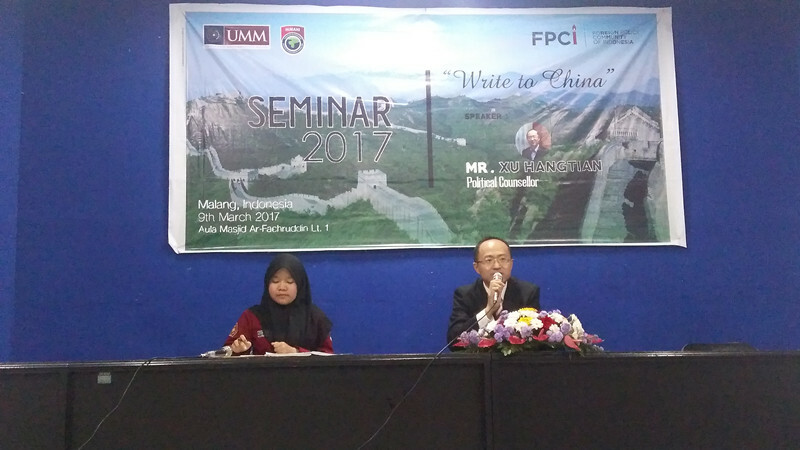 He further introduced the Chinese Government Scholarship and "Write to China" Essay Competition sponsored by Chinese Embassy in Indonesia. 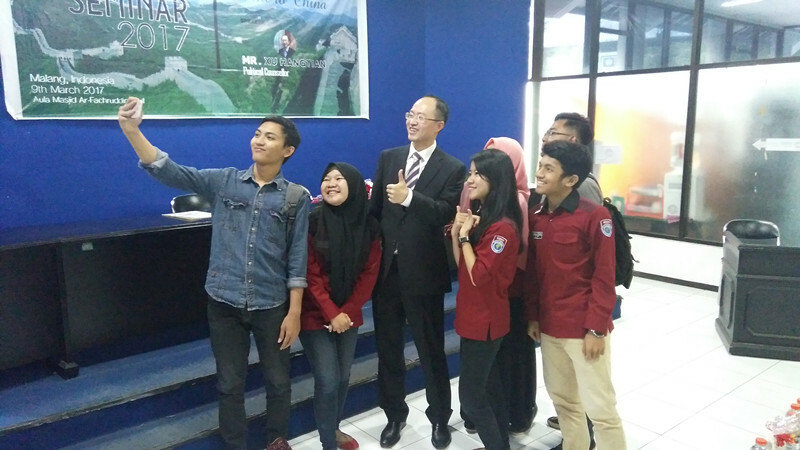 Mr. Xu also answered questions from students.